The lovable ladies from Stars Hollow join Pop! 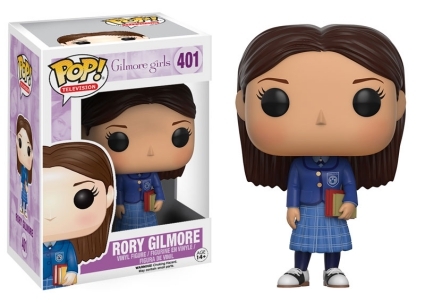 with 2016 Funko Pop Gilmore Girls. 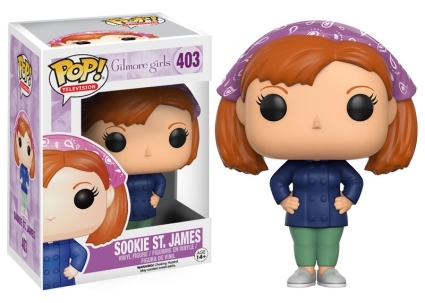 The set features Rory Gilmore, Lorelai Gilmore and her best friend Sookie St. James. The critically acclaimed Gilmore Girls aired for six seasons on The WB with the final run on The CW. Set in the idyllic small town of Stars Hollow, the series follows the everyday lives of Lorelai Gilmore and her teenage daughter, Rory. Although the single mother finds it difficult to relate to her highly intelligent daughter, the two share a tight bond and are best friends. The dramedy touched on numerous issues but family and friendships remained at the heart of the show, helping Gilmore Girls develop a loyal fanbase. Coming well after the main series ended, there is also a 2016 Netflix miniseries—Gilmore Girls: A Year in the Life. 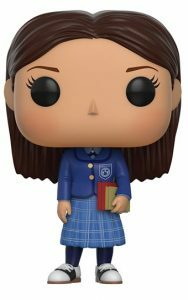 Funko Pop Gilmore Girls captures the charming characteristics while adding the Funko flair to each of the standard size (3 3/4") figures. With schoolbooks in hand, Rory is shown wearing her Chilton Preparatory Academy uniform. Reminding fans of her caffeine addiction, Lorelai is holding a Luke’s coffee cup. Meanwhile, Sookie is posed with her hands on her hips while donning a blue chef’s coat and her iconic hair bandana. 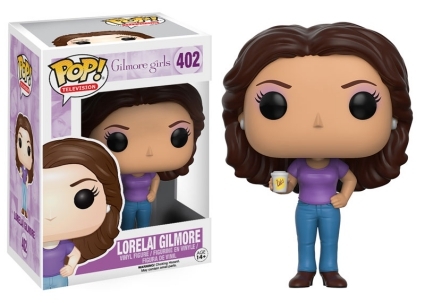 The Funko Pop Gilmore Girls vinyl figures are numbered as part of the Pop! Television line. Funko Pop! 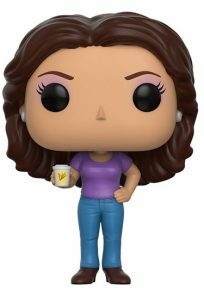 TV Gilmore Girls Lorelai Gilmore NIB Vaulted Great Condition! Funko Pop Television Carmen Sandiego 2019 Spring Convention Exclusive #662.